For all those who love FREE books, do we have something for you! Every wednesday from now until our 2013"Follow Me" conference in August, we will be giving away 1 book a week. 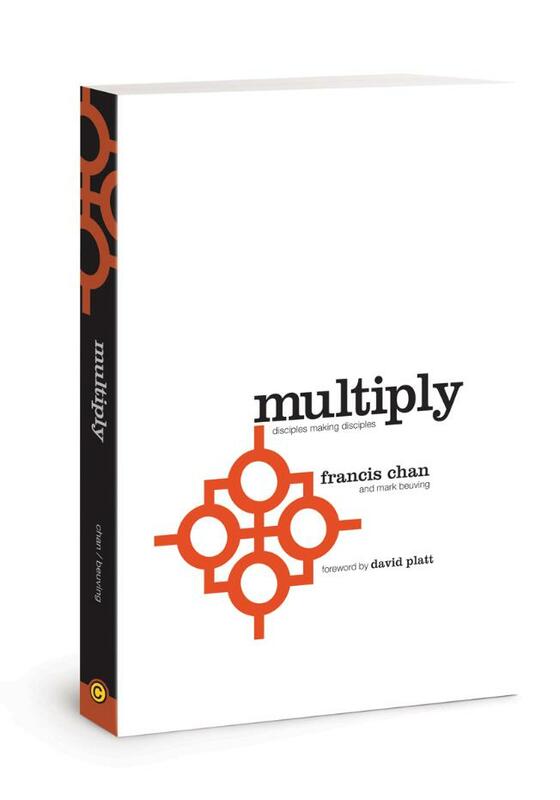 If you register for "Follow Me" 2013 before May 29th, your name will be entered into a draw to win a FREE copy of "Multiply: Disciple Making for Ordinary People" by Francis Chan, forwarded by David Platt. "Multiply is a simple, practical, biblical, helpful, and personal tool for disciples of Jesus who want to make disciples of Jesus." So, if you have not registered yet; please click HERE. This your chance to reserve your spot for an incredible conference and potentially gain a very helpful resource for your library. The winner of the contest will be announced next wednesday on the blog. Make sure you stay tuned every wednesday to find out what our next giveaway resource will be.